I was inspired to make these tortillas after I spent the day in Olvera Street at one of the restaurants I went to as a kid. My dad would bring us to La Luz Del Dia almost every other weekend, and my sisters and I would sit on the staircase watching the cooks make tortillas in the kitchen. 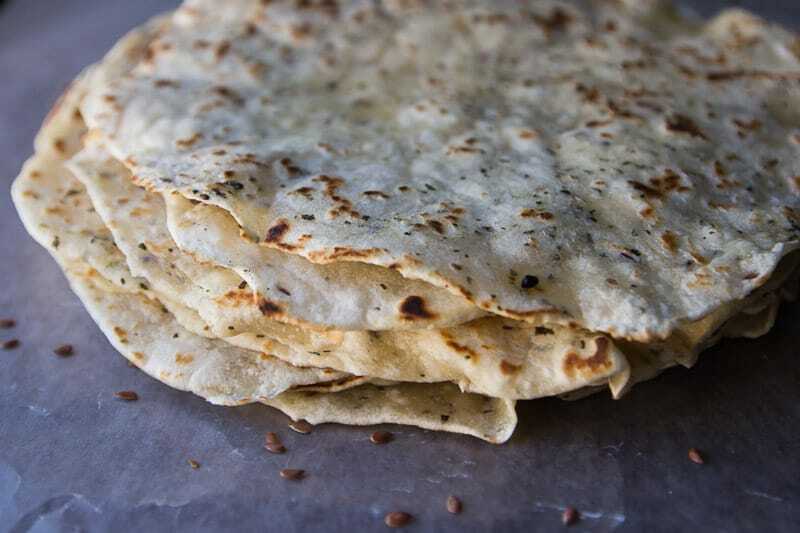 I’ve always wanted to try my hand at it, and after Jacinda posted a tortilla recipe in 5 Kid Foodie Classes to Recreate at Home I was determined to go for it. They are incredibly easy to make and turned out absolutely delicious. I highly recommend spreading melted butter on one right after it’s done and devouring it immediately. Start by the dry ingredients together. Use your fingers to knead in the oil. 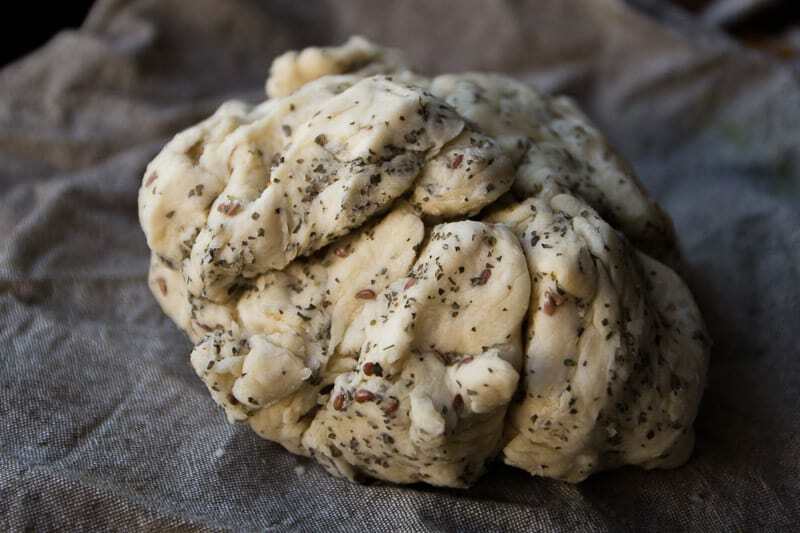 Get it to a crumbly consistency. Pour in the hot water slowly while mixing it all together. Add in the flaxseed and basil. Cover with plastic and let sit for 30 minutes. 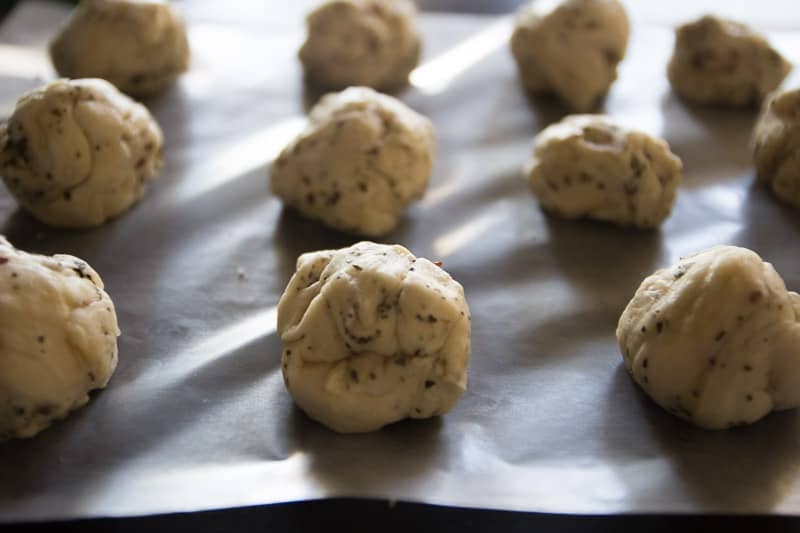 Divide the dough into 10 to 12 balls. 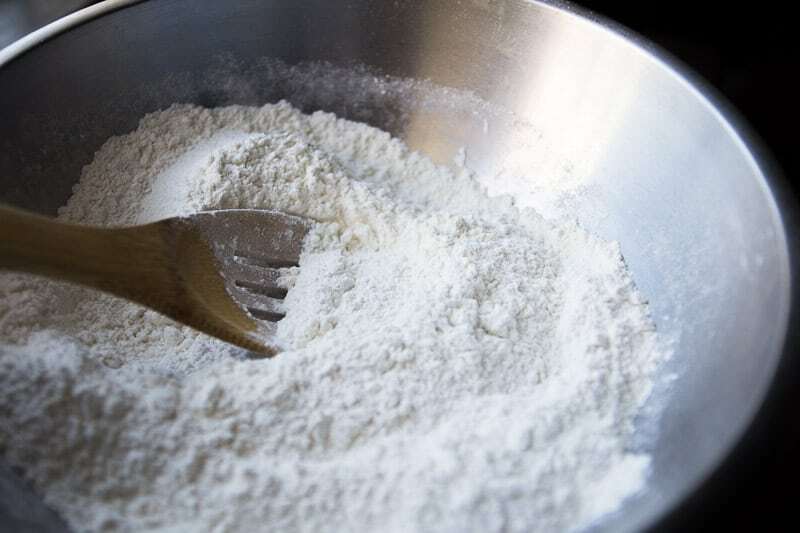 Flatten each ball out with your hands and then roll them out on a lightly floured surface. 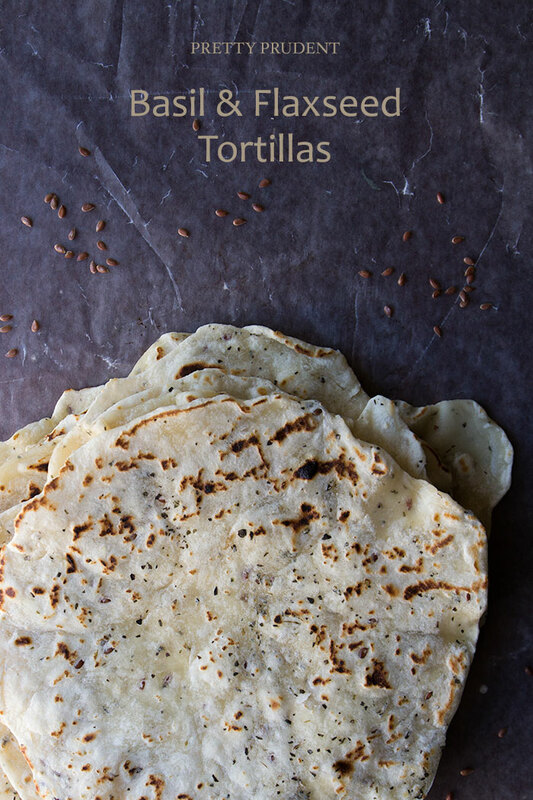 Once you have all your tortillas ready to go, heat an ungreased pan on the stove to about medium-high heat. Cook each tortilla on at a time. It will be done when the bottom side starts to bubble and turns light brown. Then you can flip it to cook the other side. This happens really fast, so keep an eye on it.